Meet our founders who are ready to put their thought leadership to work for you. Bob Epner is founder and CEO of Chiefofstaff.com. He has over 20 years of related senior management experience, having held multiple leadership positions at ING Global including Senior Vice President and Chief of Staff for ING Investment Management. From 2002 to 2008 he was based at ING’s Asia/Pacific headquarters in Hong Kong, where he held the positions of Chief of Staff and Regional Chief Operating Officer overseeing 24 businesses across twelve countries with over 10,000 employees. 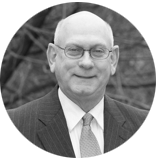 Bob’s tenure with ING began in 1999 when he joined the Americas regional office in strategic marketing. He played a key leadership role during the $7.7 billion Aetna Financial acquisition, which included assets in the United States, Asia, and Latin America. He subsequently led the successful Integration Team with ING’s new joint venture partner Sul America, the largest insurance company in Brazil. Before joining ING, Bob held senior positions at MetLife in both their New York and Hong Kong offices; marketing positions at GE Major Appliance; and a strategy consultant role for the Michael Allen Company. He holds an MBA in finance from New York University and a BS in finance from the University of Pennsylvania, The Wharton School. Larry Sullivan is Chairman of the Board of Advisors of Chiefofstaff.com and the David Arthur Foundation, and is President of Chiefofstaff.com’s Nonprofit, Religious, Academic, and Healthcare (NRAH) Organizations line of business. 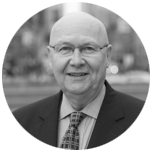 Through decades of service in excellent institutions, Larry has honed his capacities for strategic vision and implementation leadership in complex organizations. Larry was Director of the Harvard University Center for the Study of World Religions, an international multidisciplinary research institute, and Professor of World Religions at Harvard Divinity School from 1990 to 2004. He is Lifetime Fellow of the American Academy of Arts and Sciences, and a Senior Fellow and immediate past President and CEO of the Fetzer Institute, a $450 million operating foundation. He is Professor Emeritus of Theology at the University of Notre Dame, where he served from 2004 to 2012 as Professor of both World Religions and Anthropology. Larry earned his PhD in the comparative history of world religions from the University of Chicago, where he later taught. He served as President of the American Academy of Religions and Fulbright Senior Research Scholar to Japan, received lifetime induction as Martin Luther King Jr Collegium Scholar at Morehouse College, Dr. King’s alma mater, and was granted the rank of Commander in the Romanian Order of Merit by the President of Romania. Rich McGeary is Co-Founder and Chief Business Development Officer of Chiefofstaff.com. Previously Rich was President and CEO of the Hartford Area Habitat for Humanity, the area’s largest home builder in support of low income families. Prior to that he was Executive Vice President of Delphi Health Systems where he led business development for this diabetes disease management technology developer. Before Delphi, he was Co-Founder and Executive Vice President and COO of Axiom8, Inc., a venture-backed, communication technology company. His leadership fostered the development of their flagship product, Ossia™, a dynamic collaborative communications environment that allows users to communicate and interact seamlessly bridging telephony (PSTN) and Internet (IP) networks. Prior to Axiom8, he served as President of McGeary Electronic Publishing, a software development firm specializing in the creation of intelligent search engines for large volumes of unstructured information. From 1985 to 1990 he was CFO for Connecticut Mutual’s Information Systems business unit, a $100 million organization responsible for all technology related development and support services. 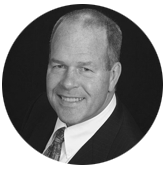 Rich is a CPA and received his BBA in accounting from St. Bonaventure University. Dean Jorgensen is a Cofounder of Chiefofstaff.com and heads Product Development, leading our Integrated Product Team, which includes our technology partner Qison Software. With a career spent in the aerospace, defense, aviation, maritime, and energy sectors, Dean brings more than 30 years of operations and product development leadership experience to Chiefofstaff.com. As a principal systems engineer and program manager with Textron Systems and Vice President of Capture Management at Zodiac Aerospace’s Parachute and Protection Division, he has led the development of numerous high-tech systems including the US Air Force’s Mobile Microwave Landing System and NASA’s Genesis Sample Return parachute recovery system. He is a serial entrepreneur, leading the growth of successful small businesses in the field of aerospace, composites, and measurement instruments. 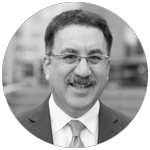 Having authored and implemented corporate strategic plans at businesses ranging from small, privately held tech startups to large, publicly traded multinational aerospace corporations, Dean brings invaluable experience to our senior advisory support network. Dean is an Associate Fellow of the American Institute of Aeronautics and Astronautics, where he has served as chairman of their standing committee on aerodynamic decelerator systems technology. He holds a PhD in aeronautical engineering from the University of Leicester, England, and an ScB in civil engineering from Brown University. Ed Olsen is Head of Partner Channel for Chiefofstaff.com. In this role, Ed works closely with our global partners to provide sales and implementation training as well as ongoing support in assisting them to achieve success in onboarding the chiefofstaff.com. system to their key applicable clients. 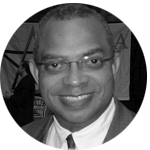 Ed started his career at Aetna Life & Casualty where he served in a variety of positions, including President of Aetna Information Services. Ed left Aetna as part of a joint venture which resulted in the formation of CISGEM Technologies and assumed a role as Vice President of Insurance Systems Services. CISGEM was subsequently acquired by AMS Services, Inc., where Ed assumed the position of Senior Vice President of Customer Service, Training, Education and Documentation for all AMS products which served some 12,000 insurance agencies. Within this role, Ed was responsible for the implementation, training and ongoing support of management systems for several National Agencies and Brokers and over half of the largest 100 Brokers within the United States. Ed was subsequently promoted to General Manager of AMS Rating. In 2004, Ed became a Partner in Pinnacle Network LLC as Chief Operating Officer with responsibility for Operations, Carrier Relationships and Account management. In 2006, Ed joined Hire Aspirations as a Managing Partner and Career Coach and in 2007 Ed opened the Hire Aspirations office in Longmeadow Massachusetts to better service clients in northern CT and western MA. In 2012, Ed became affiliated with Executive Talent Services in West Hartford, CT as a Senior Career Coach. Amy Edwards Anderson has worked as a consultant and project manager in London, focusing on communications projects for multinational companies, identifying learning needs for different regions and functions and developing communications materials and workshops. Amy has been based in Brussels for sixteen years, where she has become increasingly involved in education, teaching at both Belgian and international schools. Amy serves on the Board of Trustees for the International School of Brussels and has served for many years as a board member for the Brussels Sports Association, which she served for several years as Executive Director. Amy earned her undergraduate degree in International Business Administration from Villanova University and her Master’s degree in Economics from the University of London (SSEES). Melody is a former management consultant with Deloitte Consulting, IBM Consulting — Global Services and an entrepreneur. 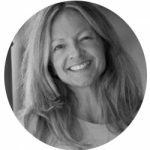 She helped grow an internet strategy consulting startup, Mainspring, focused in applying digital technology to business, bought by IBM. She then helped build IBM’s Institute for Business Value as a senior manager. She also was a founding Managing Director of a global alliance of 1,200 companies focused on environmental philanthropy, partnering with Patagonia to build 1% for the Planet. Her unique combination of experience in strategy consulting, environment, and business, as well as in leading a global nonprofit organization from its start to its successful existence in 44 countries, required effective partnership building and relationship management every step of the way. Anne Marie Bakke joined ChiefofStaff.com in 2017. 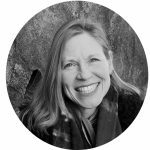 Anne Marie has worked as a consultant and project manager within the IT industry and for a non-profit organization. 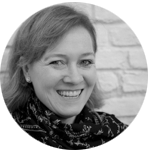 She has also worked as an implementation consultant in the medical information industry in the United States and in the U.K. During the past 21 years Anne Marie has been based in Oslo, Norway where she has worked at various firms; Coopers & Lybrand, Norsk Hydro, Manamind (financial software), Selvaag BlueThink (R&D firm within Knowledge based engineering) and Making Waves, a consulting firm that creates digital solutions for clients. Anne Marie has a bachelor´s degree in Political Science from St. Olaf College, MN.